I feel like that’s not a sentence uttered by many people. When given the choice between burgers, Mexican, pizza or seafood, most people aren’t like “oh no thanks, I’ll eat my lettuce.” But that is exactly what happened. 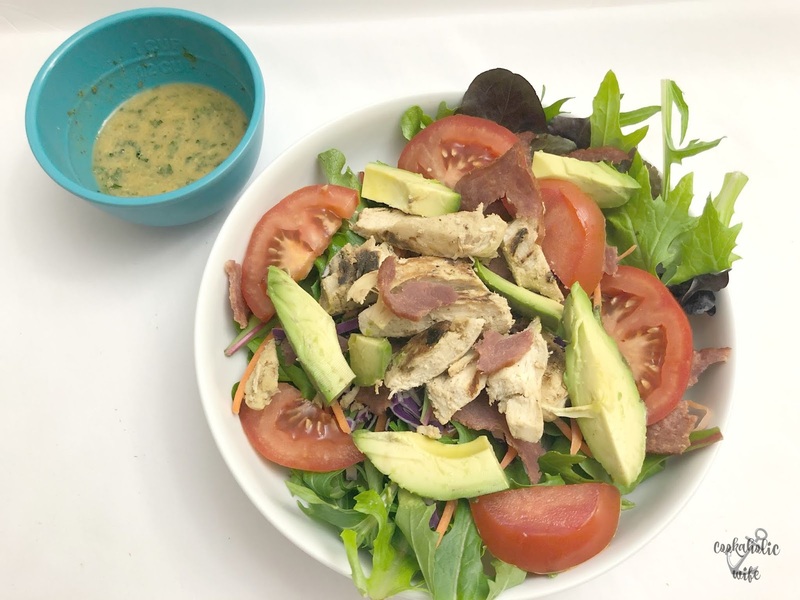 Filling, flavorful and full of texture paired with a sweet and tangy dressing, this salad really has no competition. #FantasticalFoodFightis a monthly blogging event hosted by Sarah of Fantastical Sharing of Recipes. Each month bloggers are assigned a theme in which to create a recipe. The theme for this month is salad and I knew I simply could not pass up sharing this salad recipe with you. 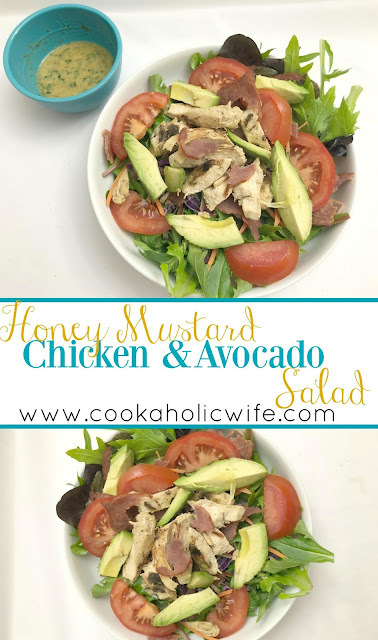 Bursting with flavor, this Honey Mustard Chicken and Avocado Salad is perfect for a filling lunch or light dinner. Combine ingredients for honey mustard in a medium bowl. Mix until combined, then transfer half of the mixture to another container. Place the chicken in the bowl with the remaining honey mustard mixture. Cover and refrigerate for 30 minutes or up to 12 hours. Preheat a grill pan over medium high heat. Place chicken on grill pan, discarding remaining sauce, and cook 5-7 minutes on each side or until the internal temperature reaches 165 degrees. Divide lettuce, tomato, carrots, cabbage and cucumber between bowls. Top with chopped chicken, bacon and avocado. Drizzle remaining dressing on top. Honey mustard dressing will keep for a week in the fridge if not used all at once. 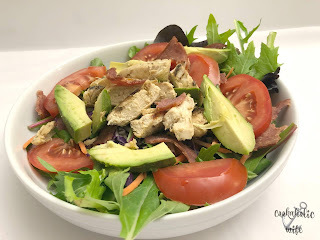 This is probably my new favorite salad for the year and I foresee it being made a bunch of times, because really, who can pass up this winning flavor combination? The only thing I can think of that would make it better? Tomatoes from my own garden. Which will hopefully happen if Mother Nature ever gets her it-shay together and gives me enough dry days that the landscaper can come out and then we can get everything planted. That dressing sounds amazing Nichole and nothing is better than garden fresh tomatoes. 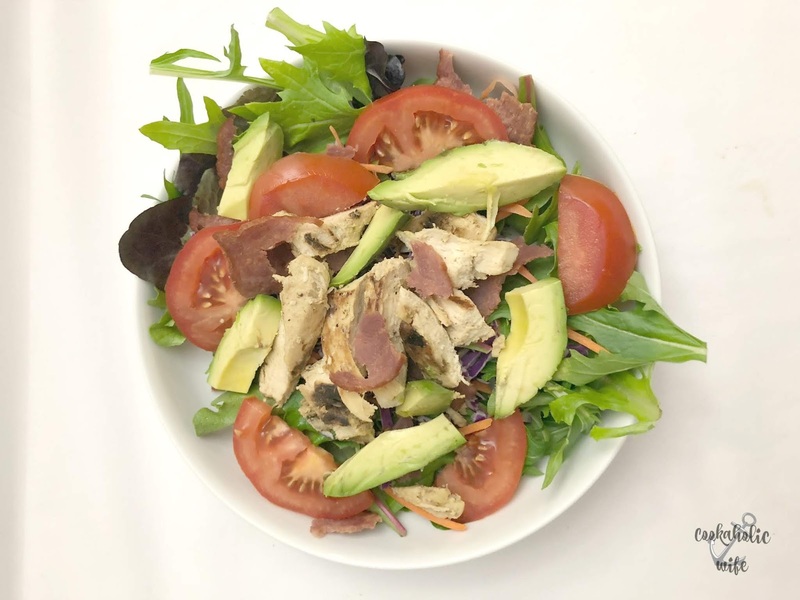 I would happily eat up that salad… just sounds delicious! I'd stick with this salad too. After all there's bacon in there! I used to eat salad all the time for lunch but recently I've had to take over eating leftovers. Salads are just so dang wonderful. I'm excited for the prospect of all these new salads to try out. I think this one sounds so great – honey mustard chicken? YES!! !